Pittsburgh Certified Public Accountants provide business tax preparation services for large companies and growing organizations in the greater Pittsburgh region including Wexford, Cranberry Twp, Ross Twp, North Hills, Warrendale, McCandless, Sewickley, and Franklin Park. 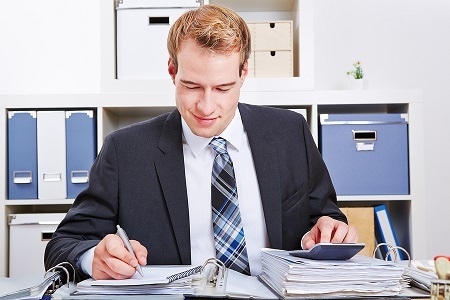 If you are looking for a reliable accountant to handle your company’s business tax preparation, you can count on the experienced professionals at W Cotton Mather CPA. We focus on proactive year-round tax planning to ensure that tax time is as stress-free as possible for business owners and CFOs. Our business tax services are accurate & timely and our attention to detail ensures that all tax compliance and regulations are met as necessary. We have an expertise in ever changing tax laws and our accountants are here to keep you informed on any regulatory changes that can affect your business or industry. Our tax professionals strive to balance tax compliance, tax strategies, and tax planning to help maximize your profit and reduce your tax liabilities. We are dedicated to helping you benefit from tax credits and deductions so that you can meet your bottom line and increase your operating efficiency. Our inclusive business tax service is great for growing corporations, large companies, and nonprofit organizations. Our depth of experience and deep understanding of tax laws help you achieve measurable results when it comes to tax planning and business tax filing. Contact W Cotton Mather CPA today to find out how we’ve been helping large businesses and corporations in the greater Pittsburgh region for over 30 years. We are here to help you succeed and nurture a profitable, growing business.